Stan Lee, the public face of Marvel Comics and co-creator of iconic superheroes such as Spider-Man, Thor, and Black Panther, has passed away at age 95. Born Stanley Lieber in 1922, Lee began his career in comics as a gofer/Guy Friday, thanks to his uncle Robbie Solomon. His roots at Marvel go back to 1939, when the company was still called Timely Comics. He worked his way up from small fill-in writing assignments to becoming an increasingly important figure, eventually becoming editor-in-chief in 1941. After Timely became Atlas and the WWII-era superhero fad cooled, Lee worked on romance, monster, and cowboy comics. Lee’s crowning triumph came when the publisher was at the brink of failure in the late 1950s. He was given carte blanche to try out new superhero concepts and, in collaboration with Jack Kirby, Steve Ditko, and other artists, delivered the building blocks of what would later become the Marvel Universe in 1961. The Marvel approach was to humanize its superheroes, giving them flaws and foibles that felt fresh in comparison to the prevailing execution from rival DC Comics. Marvel’s success was synonymous with the Stan Lee name, and the words “Stan Lee Presents” preceded story title and company pronouncements for decades. But Lee’s day-to-day involvement in the company tapered off in the 1970s and he eventually relocated to California in 1981, partially in the hopes of getting movies made around the Marvel stable of characters. Ever a pitchman, he continued to be a tireless salesman for Marvel as characters like the Hulk and Spider-Man made it onto TV. When Marvel hit hard times and declared bankruptcy in 1998, the company voided Lee’s contract. The move was seen as a disrespectful dismissal to one of the company’s founding fathers and Marvel’s corporate leadership eventually signed Lee back on as a symbolic figurehead, cutting him a hefty seven-figure salary and participation on any profits made from TV and movie adaptations. Once the rift with the House of Ideas healed, Lee settled into the latter-day role of grandfather mascot. He continued as a jovial presence at conventions for decades—including a Los Angeles-based gathering once branded as Stan Lee’s Comikaze—and began making cameos in the blockbuster movies based on the characters he helped birth. His career wasn’t without controversy or misstep. When weighed against contributions of legendary artists like Kirby and Ditko, the amount of credit granted to Lee for Marvel’s characters and success has been a problematic aspect of his public persona. And the deals he made later in life to put his name on a seemingly endless number of shaky ventures—most through a new company called POW! Entertainment—did little to shore up his legacy. Disturbing reports of alleged elder abuse and in-fighting plagued Lee’s later days. 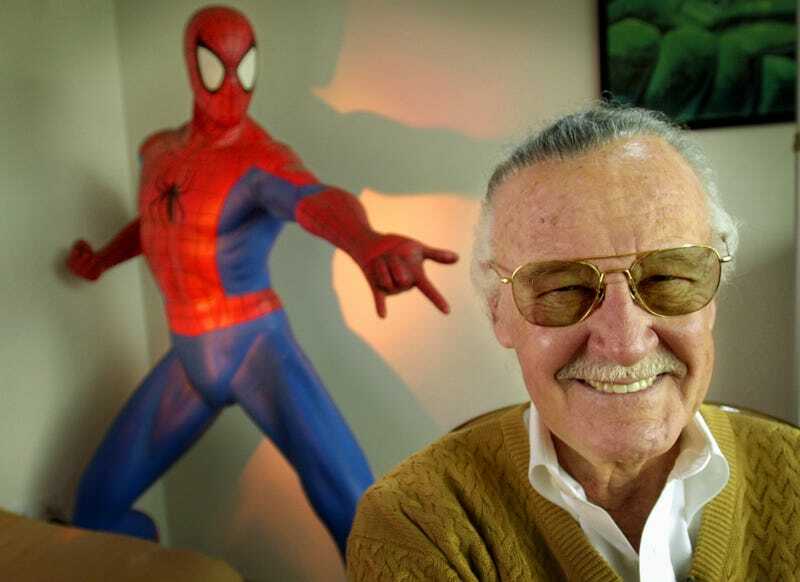 As a feud between his daughter and his latter-day handlers swirled all around him, Stan Lee’s name wound up in the news in the worst possible ways: the victim of alleged theft to the tune of six figures, accusations of sexual assault, reports of poor health and reduced mental faculty, and bizarre exploitations where his allegedly stolen blood was used in ink to sign comics. One could say that the legend of Stan Lee—built in part by the man himself—wound up crushing Stan Lee the human being, obscuring what he actually did during his career. In time, though, Lee would regain control of his public presences and distance himself from the people he identified as being responsible for the emotional and financial woes he faced later on in his life. Difficult a foe as fame was for Lee, he was able to ultimately put himself in a position of strength and self-assuredness that, right up until the end, gave his fans hope. Nevertheless, Stan Lee’s legacy will continue because there’s no denying that the energy of his enthusiasm was there when the Marvel Universe was reborn. His infectious enthusiasm and endless energy reconfigured the comics medium into a new idiom, one that spread further and touched more lives than even his hyperbolic self could ever imagine.